PIMCO’s Gross: Fear Not, Bond Investors! 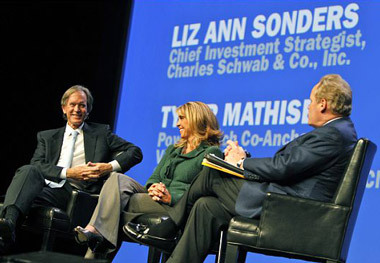 After a losing 2013, Bill Gross lays out a bond strategy he says will produce 3% to 4% returns this year. Reports of fixed income’s death amid rising rates have been greatly exaggerated. That seems to be the message of PIMCO bond manager Bill Gross’ first investment outlook of the new year, which lays out a strategy for positive returns in 2014. His monthly outlooks are often mined by investors for their insights, but this one was likely highly anticipated by investors who were perhaps wondering what the manager of the world’s largest bond fund had to say after clocking out on a year with losing performance. Though not mentioned explicitly, the PIMCO Total Return Fund’s (PTTAX) 1.92% loss in 2013 was certainly a subtext in an investment outlook whose main focus was explaining fundamental concepts, including that bond prices fall when interest rates rise. And rise they did in 2013; the benchmark 10-year Treasury rose 1.271%. It was a tough year for the entire asset class. But investors harshly punished PIMCO, withdrawing a record-breaking $41.1 billion in 2013 from the fund, which now stands at $237 billion in assets. After those elliptic references to PTTAX’s rough year, and a reminder that risk-avoidant purchases of short-term Treasury bills will yield the buyer just 6 basis points in today’s environment, Gross builds a case for owning Treasury bonds. Acknowledging that the asset class is like a seesaw, with its pendular upswings and downswings, Gross insists an investor can make money during downswings by holding bonds with less duration and shorter maturities while focusing on credit, curve, volatility and currency-related characteristics. At the same time, investors should de-emphasize 10- and 30-year maturities “that are taper affected,” Gross writes. Such an approach “can produce returns over and above those microscopic Treasury bill rates…under a majority of scenarios,” he says. For those spooked by the Fed’s seeming pro-taper consensus, the bond manager reminds investors that 30-year bonds have already fallen 30 points since their July 2012 peak, and adds that the short-maturity strategy he favors is not dependent on a “preordained Fed taper” but ride instead on the federal funds policy rate. And that rate in turn is dependent on economic growth, the level of unemployment and future inflation. Gross says that investors will jerk bond prices wildly in response to minor changes in employment but “no one seems to care” what happens with inflation. With a Fed inflation target of 2% while the current annualized rate is just 1.2%, Gross says the Fed won’t reach that target any earlier than 2016. For that reason, Gross says his short-maturity (1 to 5 years) strategy, with its grab bag of enhancements, should realistically yield a total return of 3% to 4% in 2014 — not the roaring 11% returns of the bond bull market but some comfort for income investors.